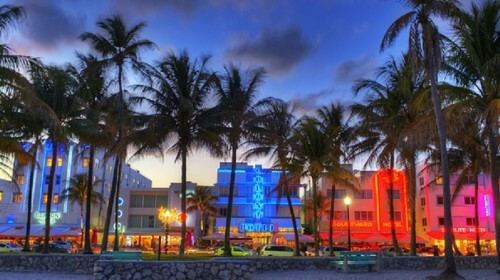 Fly&Drive Miami: flight and 10 days car rental for only €620! Here’s a very special offer for all travellers who want to visit Florida. You can now book amazing holiday package in Fly and Drive program which includes return flight from Germany to Miami and car rental for the whole length of your stay. You will pick up your car directly at the airport and then it depends completely up to you which places are you going to visit and where are you going to sleep. The price for group of 3 people is €620, if you travel just in a couple, it’s €673 which is still a good price. You can fly from Berlin or if you pay €11 extra, also from Dusseldorf. Discover whole Florida with its entertainment parks and beautiful beaches! Orlando has wide range of affordable accommodation. You can choose cheap motel or check great hotel deals to get the best offers. « Cheap flights to India: Stockholm-Mumbai for €357!